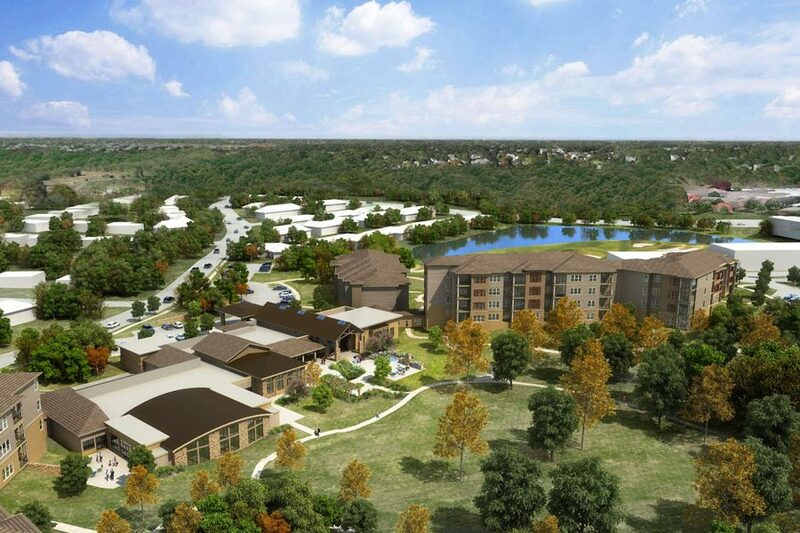 John Knox Village, a retirement community in Lee’s Summit, Missouri, is redefining and revitalizing its campus. 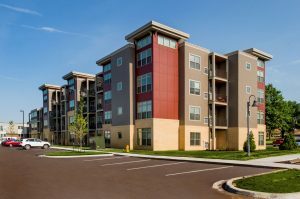 The Meadows expansion is now in its second phase and will bring a completely new lifestyle experience to the thriving senior housing community. The Meadows will be a Life Plan Community, offering its residents all that they need to live an active and engaging life in their golden years. The new three- and four-story buildings are replacing older one- and two-story structures and are indicative of a larger lifestyle shift at John Knox Village. The new buildings include upgraded exterior facades, including more brick and manufactured stone and all-season sunrooms, that the older buildings did not have. With the adjacent pond and golf course and upgraded finishes, the new buildings are a very noticeable sign that John Knox Village is in the process of a campus-wide rejuvenation. Cheryl Leppert, Communications Director for John Knox Village, says that the community has long recognized the need to redevelop some of its buildings. Some of the amenities included in the Meadows are a new aquatics center, community gathering spaces and easy access to assisted living services. Some of the amenities included in the Meadows are a new aquatics center, community gathering spaces and easy access to assisted living services. The campus includes a nine-hole executive golf course, a movie theater, five restaurants, a coffee shop, a pub, a bowling alley, two indoor swimming pools and two fitness centers.